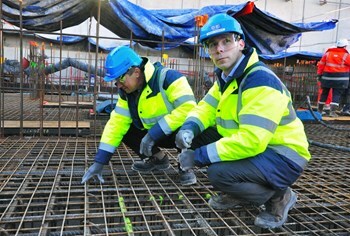 ''Since construction activities began in 2010, F4E has signed contracts worth EUR 900 million for the creation of the ITER scientific facilities,'' says Laurent Schmieder, Site, Buildings and Power Supplies project manager (right) seen here with F4E Director Henrik Bindslev. In the months to come no fewer than 16 building projects will be set into motion on the ITER worksite. Laurent Schmieder, Site, Buildings and Power Supplies project manager, is responsible for overseeing all site works, coordinating with the consortium project teams and interfacing with the ITER Organization on behalf of F4E, the European Domestic Agency. He took time last week to answer questions about the changes we can expect to see in 2014. Since a consortium was selected to build the Tokamak Complex in 2012, how much progress has been made in tendering procedures and contract signatures for the other buildings or technical areas of the ITER scientific facilities? We're nearly there. Since construction activities began in 2010, F4E has signed contracts worth EUR 900 million for the creation of the ITER scientific facilities. The early contracts were for the excavation and reinforcement of the Seismic Pit, site adaptation works and drainage galleries. In the last 12 months, we've chosen contractors for nearly all of the building packages. The largest of these (EUR 530 million) was signed in October for the electrical and mechanical services of the Tokamak Complex. Two contracts for a total value of approximately EUR 150 million remain to be signed in 2014 for high-voltage electrical installations and diesel generators. After that, we can consider that 75 percent of the building program will have been signed off to building consortiums. How will the work be organized on site? Very carefully, as you can imagine. We're expecting 600 workers on site this year and 1,000 in 2015. F4E has signed two important contracts to help in the management of the construction site. For Health and Safety Protection, F4E signed a contract in 2010 with the French firm Apave; this company is responsible for the health and safety plan on the site as required by French law and for supervising, from an occupational safety point of view, all work during construction. ENGAGE, the architect/engineer consortium, will be assisting F4E throughout the entire construction phase, from the elaboration of detailed designs to the final acceptance of the works (buildings, site infrastructure and distribution of power supplies). At the peak of design activity, more than 230 engineers and designers will work under this contract. What changes can we expect to see this year on the platform? In the Tokamak Complex, contractors will begin in September on the walls of the lowest basement level and—by the end of the year—the next level. 600 workers are expected on site this year and 1,000 in 2015. The platform will change dramatically. Work on the Site Services Building begins this month on the northeast corner of the platform. In July work will begin on Assembly Building—it's a relatively straightforward steel structure that will be completed within three months, but at 60 metres tall it will certainly be a noticeable change to the platform. Construction starting on the Cleaning Facility, the Radio Frequency Heating Building, the Control Building, the magnet power conversion and reactive power control buildings, and the cryoplant compressor buildings will also contribute to changing the platform profile. Building work on the cold basins and cooling towers kicks off in July. For the Tokamak Complex, contractors will begin in September on the walls of the lowest basement level and by the end of the year they should start on the next level. These will be very exciting developments to keep watch for. 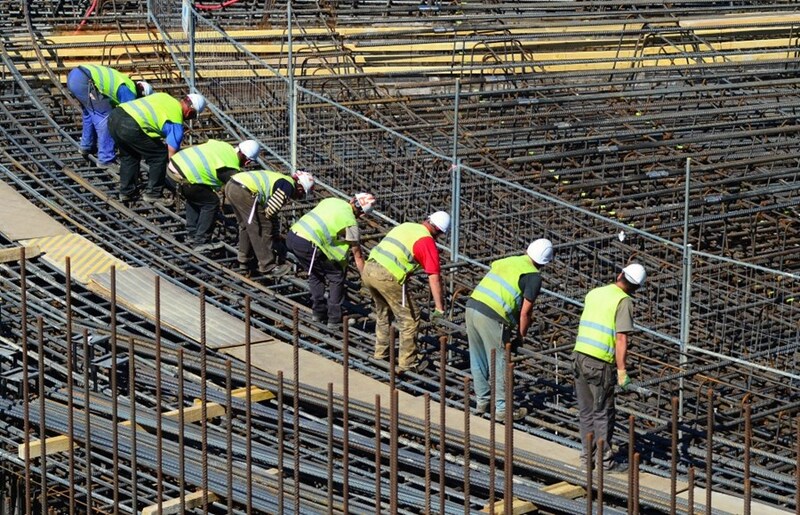 How will your responsibilities evolve as the building site becomes more and more congested? As construction companies move in over the next months and years, every square metre of the platform will be used for offices, lockers, storage, workshops, delivery, on-site transport, etc. Between the construction teams and the delivery of components, the site will be a real beehive of activity. It's true that activities of my team are changing as we make a transition from tendering and contract awards to design, construction and contract implementation. But whatever the phase has been, I can say that there has always been one constant—we are under time pressure! Every day there are new challenges that we need to tackle and new situations that we need to assess. It makes our activities very interesting.